The acronyms FAIR Data and EOSC, emerging within the Europe Union, have achieved a global awareness. Now it is time to invoke a global discussion and to integrate views and experience beyond disciplinary and geographic boundaries. The FAIR principles on data require data to be Findable, Accessible, Interoperable and Re-usable. While their seem to be practicable solutions to make digital objects (files, cloud objects, structures in SQL or No-SQL databases, spreadsheets, etc.) findable and accessible by assigning persistent identifiers and rich metadata to them, ways to increase interoperability and improving re-usability are not as evident. Different data organisations, data models and semantic spaces need to be explicitly described and mapped which is known to be very time consuming at this moment in particular since the data universe is changing rapidly. Conditions for re-usage need to be made explicit which are also difficult to formulate. And, all specifications need to be available in machine actionable forms to enable automatic processing which is the only way to scale up processing in data rich science in the future. A new culture of exchanging data and new methods are required to make FAIR data reality. 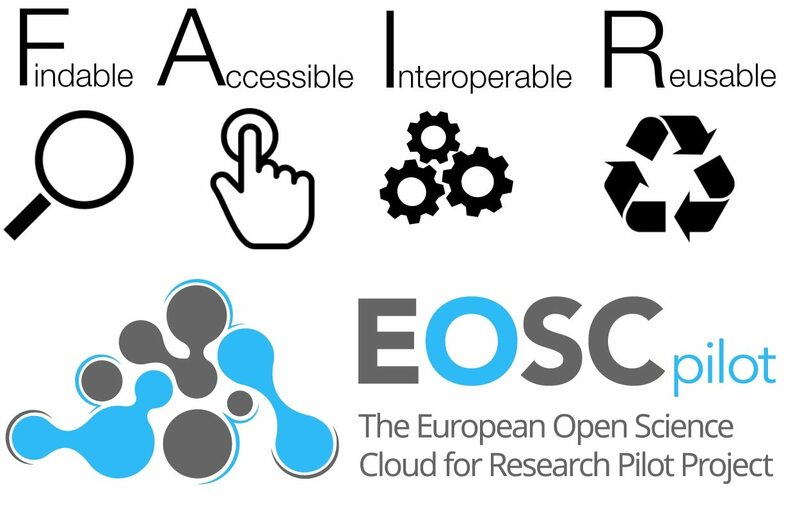 In addition, the European Commission started the European Open Science Cloud (EOSC) initiative to develop the eco-system of infrastructures that will help to realise a FAIR data domain for data intensive sciences. It needs to include salient infrastructure components and integrate different services as they are being developed by research disciplines, by existing infrastructure initiatives as well as by computer science driven initiatives in a highly interoperable manner. Obviously, EOSC is describing a process that is agile enough to adapt to the dynamic changes in our data universe and not a blueprint for a top-down designed infrastructure. This workshop will bring a number of different key experts who were actively leading the agendas with respect to FAIR and EOSC and who come from different research disciplines including computer science with their views and expectations about FAIR and EOSC. In particular, ways to achieve a higher degree of interoperability and re-usability will be discussed. The workshop will also be a moment where experts from different regions will take the chance to discuss state and future of the FAIR action plan and the EOSC initiative, bring in their views and enrichments, and discuss active participation. Therefore, this workshop will be a milestone not only for creating more awareness about FAIR and EOSC, but also in refining the current plans. In particular, we hope to get clarification of what Open Science means for he countries outside of the EU as well as Perspectives of the EC FAIR/EOSC initiative for involvement of all interested Stakeholders beyond EU. More information on the conference, venue and programme are availble here.